Ancient Japanese stone lanterns have origins as a primitive Buddhist art form, but they also served to light the way at temples and shrines. 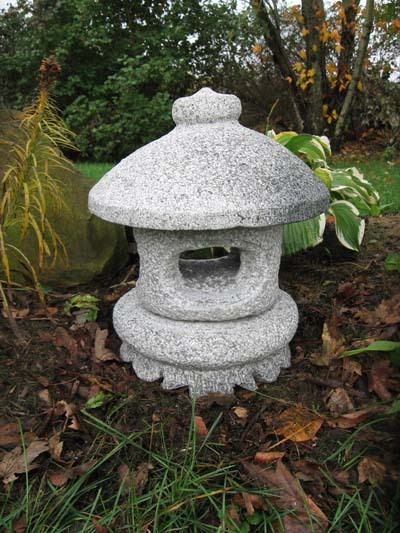 Our reproduction of the Tamate Lantern is carefully carved from textured blue-grey granite and will add a serene glow to your landscape or deck with a simple votive. This lantern is drilled for electric lighting.